Decision: Should you play Daylight Robbery? Zarbag's Gitz and purely passive/defensive decks should probably consider packing Daylight Robbery. Other decks should steer clear unless they are already playing both Rebound and Last Chance and are looking for a third not-entirely-reliable option to deny their opponent glory. The first thing that should be addressed with Daylight Robbery is that half the time it will do absolutely nothing. That's not great. However, with the introduction of Gambit Spells, many of the game's most powerful effects are now locked behind a die roll that has a chance to fail. So, is Daylight Robbery up to snuff? This gives us a fairly broad spectrum to evaluate the usefulness of Robbery; it should be less powerful than Rebound and 2-success Gambit Spells and more powerful than 1-success Gambit Spells and Last Chance in order to be playable. It makes sense to start any evaluation of Daylight Robbery by talking about the glory point that it steals from your opponent, though there are other factors to consider as well. First, the glory must be unspent. This means that Robbery may sit dead in your hand if your opponent is aggressively equipping upgrades to his fighters every time they earn glory. This may cause you to miss several opportunities to play Robbery, but its unlikely to completely shut it down. Between the abundance of score-immediately objectives and the natural limitations on the number of upgrades a player has access to at any given time, you'll almost certainly have some opportunity to play Robbery. A possible exception to this situation would be an opponent playing a purely defensive deck; the combination of generally low-scoring games, a low number of score-immediately objectives, and the high number of cards that defensive decks draw, may actually result in Robbery being completely dead. However, this situation is a clear outlier and can probably be ignored unless your local meta is very heavy on defensive decks. As mentioned above, Daylight Robbery only works half the time, which may lead some to the conclusion that it is "worth" an average of a half glory point per use. However, it should be noted that when Daylight Robbery does successfully fire off, it's actually a 2-point glory swing; your opponent loses one glory and you gain one. This means that Robbery's average value is actually 1 glory point, not a half glory point. With Slumbering Key and A Destiny to Meet landing on the restricted list, any power card that delivers a glory when used merits consideration for many decks. Finally, we should think about the situations in which Daylight Robbery can actually tip the scales at the end of games. When successful, it turns a 2-point loss into a tie, and a 1-point loss or tie into a win for you. Thus, it's naturally more useful in decks that tend to end games within a tight glory margin of their opponent. While it has been offered by some as a counter to low-scoring defensive decks, it may actually be more useful in those decks than against them. Since Daylight Robbery doesn't actually affect anything on the battlefield directly, it's difficult to construct "combos" around it's use. There are, however, some strategies that are enabled by Robbery that can be quite useful. In essence, we could consider Daylight Robbery + Any Upgrade a combo of sorts. Like Spoils of Battle or Ghoulish Pact, a successful Daylight Robbery allows you to equip an upgrade earlier than you might normally be able to. Chaining your stolen glory into glory generators like Tome of Glories or Trophy Hunter may prove particularly frustrating for your opponent. As a bonus, when used wisely it denies your opponent the ability to play early upgrades. As mentioned above, Robbery also flows naturally with the defensive deck strategy. Denying your opponent the ability to play upgrades in the early game and keeping total glory counts are both beneficial effects for defensive decks. Daylight Robbery can also enable a few Objectives. Ploymaster is perhaps the most obvious combo, as Robbery moves you 1/3 of the way toward the goal. Robbery also pushes you towards being able to score Solid Gains and Great Gains (33% and 20% respectively). In a more roundabout manner, Daylight Robbery can also help you score Escalation. The most obvious combo here is that Robbery provides a glory point for you to play an upgrade, moving you 33% of the way toward Escalation. However, at least in best 2-of-3 games, it can also serve as a motivator for your opponent to play upgrades early (so as to limit your ability to steal glory), resulting in them overplaying upgrades in the action phase and enabling you to score Escalation. Finally, its worth mentioning that Gitz may wish to consider Daylight Robbery more strongly than other warbands. With the abundance of easy to score 2-glory objectives available to Gitz (Mad Scurry, Extreme Flank, Keep them Guessing, etc), being able to snag the all-important 3rd glory in the first turn may be the difference between victory and defeat for Dibbz and the crew. 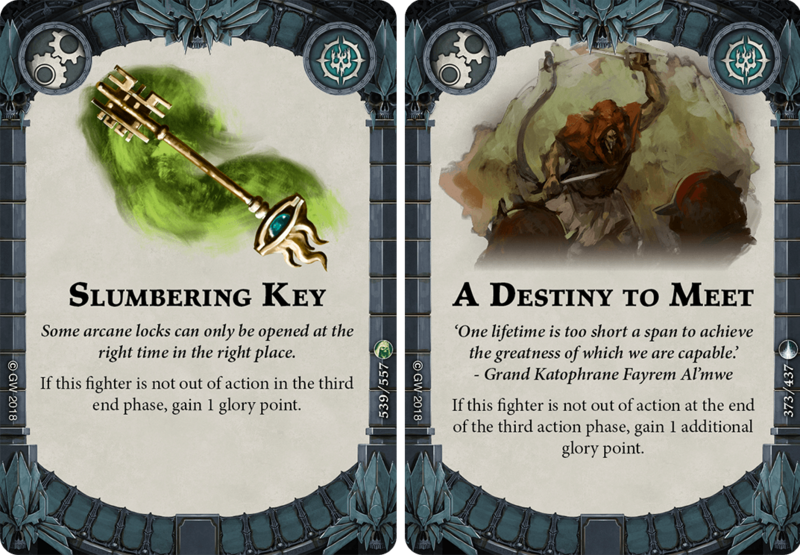 In a break from tradition, we'll actually be considering two alternate paths as these two cards neatly bookend Daylight Robbery in terms of probability of success. 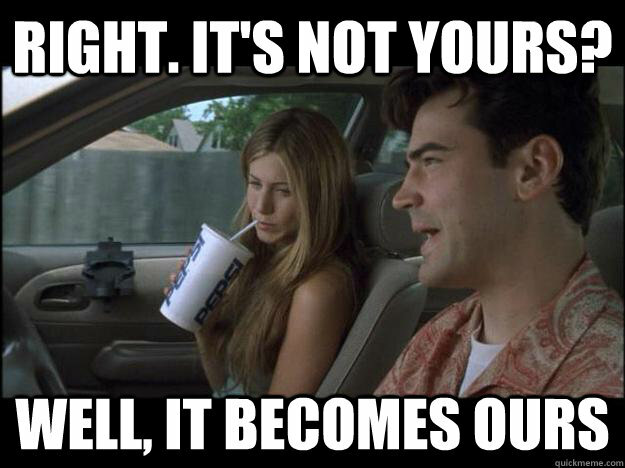 Rebound is less reliable than Robbery, but it's effect is significantly stronger. Like Robbery, Rebound denies your opponent a glory point when it's successful. It can also gain you a glory point if the damage successfully kills your opponent's model (most of the time this should be the case, otherwise you should probably save Rebound for a more ideal time). On top of this benefit, Rebound also saves your model and possibly also kills your opponent's model. As mentioned elsewhere, Rebound also enables Masterstroke and Miraculous Escape, making it probably a stronger overall pick than Robbery, despite it's lower success rate. On the other end of the probability scale we find Last Chance. 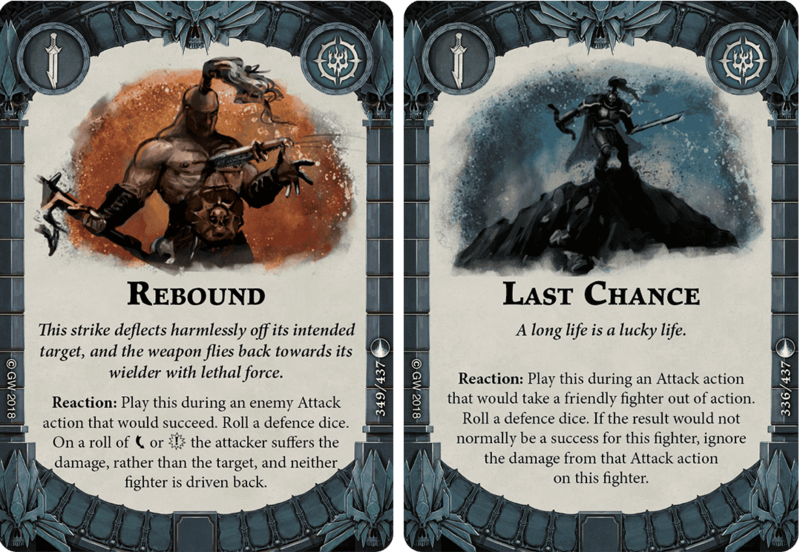 In ideal situations (dodge-defense armies), Last Chance will be more reliable than Robbery, while even in the worst case scenario (block-defense armies) the two cards will be equally likely to go off. Like Rebound, Last Chance will deprive your opponent of a glory point when it successfully fires. However, Last Chance will never gain you a glory point directly (though having an important model around that would have otherwise died may mean that your next activation results in you scoring one). Finally, like Rebound, Last Chance saves your model and enables a few score-immediately objectives. Judged in comparison to Last Chance, Robbery is probably slightly lacking in utility in relation to its success chance. Daylight Robbery provides a powerful effect at the cost of reduced reliability. With the introduction of Gambit Spells, many unique effects are now tied to failure chances. The opening of the "maybe space" caused by the publication of the Banned and Restricted list has given us good reason to consider some of these less-reliable power cards as replacements for prior staples. 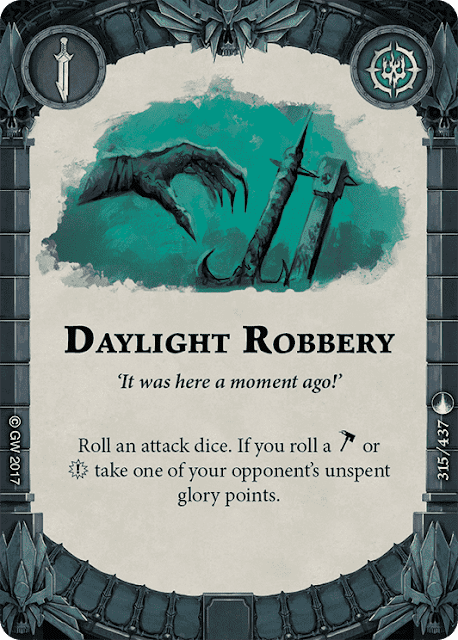 In certain deck archetypes (passive/defensive) and warbands (Gitz) the value gained from Robbery probably makes it worth playing, despite it's chance to fail.